75 Members of the European Parliament (MEPs) sent a letter today to President of the European Council Donald Tusk and President of the European Commission Jean-Claude Juncker ahead of the EU-Turkey Summit, to be held on Monday 26 March in Varna, Bulgaria. They urged the EU leaders to bring human rights to the centre of EU relations with Turkey and press President Erdogan to secure the release of dozens of journalists and many others unjustly jailed in Turkey. “Every journalist unfairly locked up in Turkey is damaging democracy in the country. Their fate should be at the top of EU leaders’ concerns in Varna,” said MEPs today. 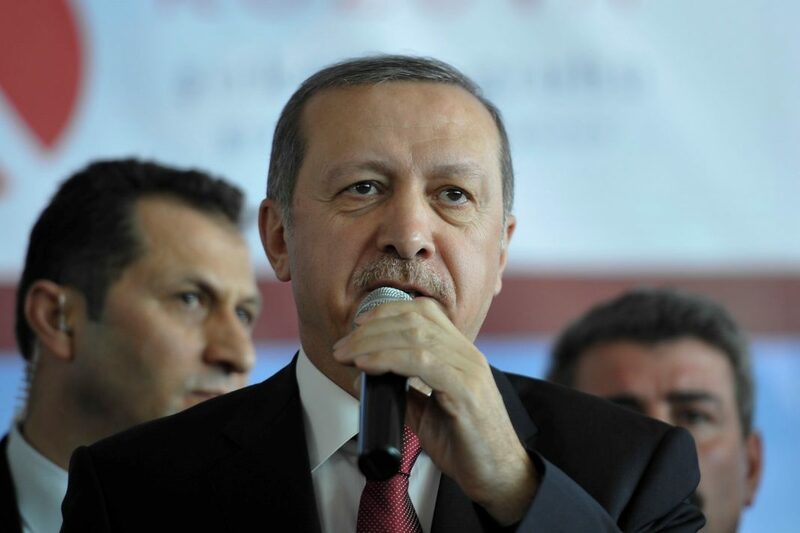 Turkey is under a state of emergency imposed after a failed coup in July 2016, and President Erdoğan has headed the cabinet and ruled the country by decree, with weakened parliamentary and judicial oversight. Since July 2016, independent media have been silenced, with over 160 outlets and publishing houses closed down. There are scores of journalists imprisoned in Turkey. For two years, Turkey has been the country with the highest number of journalists in detention anywhere in the world. Many are held in pretrial detention on terrorism-related charges and could face sentences of life imprisonment. Scores of individuals are imprisoned for undertaking their legitimate work as journalists – without ever advocating violence. “Putting critics and journalists behind bars cannot be a response to Turkey’s challenges. It’s the EU’s responsibility to speak out about those unjustly jailed and to remind the world that they should not be behind bars,” continued MEPs. In October 2017, six members of the European Parliament each committed to closely follow one case of an arbitrarily detained journalist and to make continuous calls for their release. Among them, Akın Atalay, chief executive officer of Cumhuriyet; Abdullah Kılıç, former columnist for the shuttered daily newspaper Meydan; and Zehra Dogan, artist and journalist for the feminist Kurdish news site JINHA are still, to date, behind bars. Of the remaining journalists, Şahin Alpay, a 74-year-old political scientist and former columnist for the shuttered newspaper Zaman was released on 16 March, but under judicial control is subject to confinement at his home while his trial continues. Ahmet Şık, investigative writer and reporter for the opposition daily Cumhuriyet was released on 9 March, pending the conclusion of his trial. İnan Kızılkaya, former news editor of the pro-Kurdish daily Özgür Gündem was released on October 2017, but is still facing charges despite an absence of evidence of his involvement in illegal activities. “We are deeply shocked by the collapse of the independence of Turkey’s judiciary. President Erdogan should stop hiding behind the state of emergency to justify the unjustifiable,” said MEPs. Many others, including human rights defenders Osman Kavala and Taner Kılıç, academics, lawyers and elected members of the parliament and local politicians, also remain behind bars. “Turkish citizens deserve a vibrant public debate – but months of repression are leading Turkey the other way. Varna should be a turning point,” concluded MEPs. The European Parliament has repeatedly condemned the arbitrary imprisonment of many journalists in Turkey and has called for their immediate release, issuing the European Parliament resolution of 8 February 2018 on the current human rights situation in Turkey.